Who to Call for Garden Clearances? Garden waste disposal is often the last thing people want to deal with, it’s often dirty, smelly work and tends to be pretty heavy too. 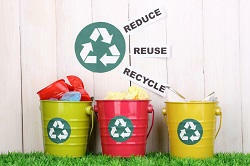 But if you’ve just done a garden renovation or remodel, you’ve probably got some garden waste to get rid of. Or maybe you’ve been doing your garden up slowly and have let the rubbish build up. 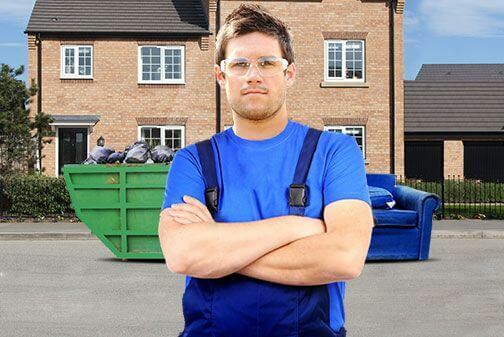 Whatever the reason if your garden needs a de-cluttering, Waste Removals is the place to call. We work alongside you to help make your garden sparkle again, we deal with garden junk collection and can dispose of any waste safely and efficiently. Book today by calling 020 3795 9574 and enjoy a tidy, spacious garden, without having to lift a finger. Whatever you need cleared, we will be happy to help. Having a cluttered, rubbish filled garden is one of the easiest ways to ruin the bliss of your garden. If your garden could use some TLC and you need a helping hand clearing it out, get in touch and let us know how we can help. Don’t suffer in silence or struggle alone, our professional experts are trained in the safe removal of garden materials, so no matter what you need to get rid of, we will be able to assist. Garden waste removal is our expertise, so call today on 020 3795 9574 and get one of our friendly team on the case, and your London garden can look as good as new before you know it. A tidy garden is a happy garden. When your garden is free from clutter you and your family can spend time enjoying it, rather than ignoring the mess and clutter, and pretending it and your garden don’t exist. Don’t let your garden suffer any longer, call in our experts and get them to complete a comprehensive garden waste disposal process, and let your garden shine and become the wonderful haven it should be. If your garden is in need of a refresh, we are happy to help. Once it’s clear, all you need to do is pray for some good weather and you can enjoy your garden again, let the greenery shine through. Garden tidying can be a frustrating and potentially dangerous. There’s usually bulky and heavy items to remove of, and often it’s not easy to find a safe place to dispose of it. Luckily our trained professionals are experts in not only the removal of garden waste, but also waste disposal. We know how to move it safely, and where to dispose of it responsibly in London. All you need to do after calling us is let our friendly team know what you need cleared and when you need it done by. After that, you can leave the rest to us, safe in the knowledge we will do what you want without a fuss. You won’t have to worry about a thing, we promise. London is notorious for being an expensive place, and often that’s true when it comes to services like garden waste removal as well. But at Waste Removals we strongly believe that everyone should have the option to be able to have their garden waste removed safely and responsibly, without having to pay extortionate prices. That is why we are dedicated to providing not only the best service, but also the best value. We want you to be able to enjoy your garden, and that’s hard to do when it’s full of junk. So if you want low prices call 020 3795 9574 and find out about our flexible prices and money back guarantee. You will be amazed at the difference.